My name is Chris You. "There were words -- Manhattan, Bronx, Queens, Brooklyn, New York, Philadelphia cheese." So, I mean, I came here for college, like everybody else did. I don’t know, expectations, I didn’t know what to expect really. I mean, what do I know about America? I’d ‘seen’ Manhattan. There were words -- Manhattan, Bronx, Queens, Brooklyn, New York, Philadelphia cheese. 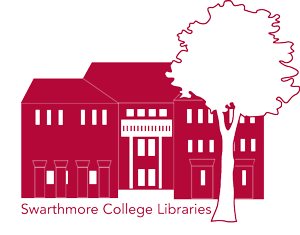 I’ve never visited America before so a lot of the opinions I’d formed about America were based on films, what I saw on the website-the Swarthmore website. It looked pretty green, I liked that. I think I was really expecting it to be the same. I mean, I have lived in a Western country before I came to America, so I was just, you know, expecting... I guess I expecting sort of like white people. It’s weird now that I think about it. You know, just white people talking English and just doing what they do, I guess. It’s very different now. I remember I got on the United Airlines, I think it was. I didn’t like that. It was very crowded. It felt very economically maximised. People were packed into the airplane, and I felt like one of those...You know when you read about English immigrants to New Zealand or Australia, they get on these big ships and then the rich people get the nice spacious cabins and us peasants get the lower and crowded cabins. I sort of felt like that, it was just interesting. I remember coming on the airplane and I transferred at San Fransisco and interestingly enough actually, on that flight from San Fransisco I sat next to a Swattie (Swarthmore College student). One of the international freshmen was actually sitting right next to me when I took the flight from San Fransisco to Philadelphia. I think we talked a little but we didn’t say what school we were going to, so that was my first Swattie interaction!